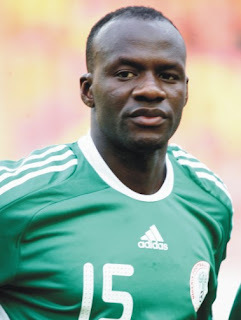 Home Featured Sports THE BIG STORY: Is Ex-International Footballer, Sani Kaita Not On His Way To Jail For Child-Abandonment? THE BIG STORY: Is Ex-International Footballer, Sani Kaita Not On His Way To Jail For Child-Abandonment? His ordeal started when a young lady by name, Esther Emiola, petitioned the Director-General of the National Agency for the Prohibition of Trafficking in Persons (NAPTIP) over alleged child abandonment by the former international footballer, Sani Kaita, who according to a petition by the petitioners Lawyer, Barrister Frank Tietie of Forthright Chamber, she alleged that Kaita got her pregnant in 2015 with a promise to marry her but abandoned her afterwards. NAN reported that Tietie, in the petition, alleged that Kaita, throughout the pregnancy and after birth, never asked after the baby’s welfare nor the welfare of the mother. According to Section 16(1A) of the VAPP Act of 2015 which deals with cases of abandonment of children, spouse and other dependents without means of sustenance., “A person who abandons a wife or husband, children or other dependent without any means of sustenance commits an offence and is liable on conviction to a term of imprisonment not exceeding three years or to a fine not exceeding N500,000.00 or both. The lawyers petition reads: “We are solicitors to Esther Emiola; hereinafter referred to as our client and on whose instructions we hereby write to request the arrest and compulsion of Sani Kaita on grounds of abandonment, according to the provision of Section 16 VAPP Act 2015. On the part of the National Agency for the Prohibition of Trafficking in Persons, NAPTIP, the agency acknowledged the receipt of the petition by one Esther Emiola, whose petition bothered on issues of abandonment by the man she got pregnant for. According to the Director of Investigation and Monitoring of the agency, Josiah Emerole, “The petition has been forwarded to the appropriate unit of the agency for necessary action and we as a government department empowered by law to handle cases such as this, promise to deal with this case to find a meeting ground for the both parties”. At the end of this case, our darling ex-international maybe on his way to jail, excerpt he does what is right by taking full responsibility of all his actions, to avoid the disaster that is coming his way.